It’s that time of the year again, and one of the most important annual events in Venice is here! 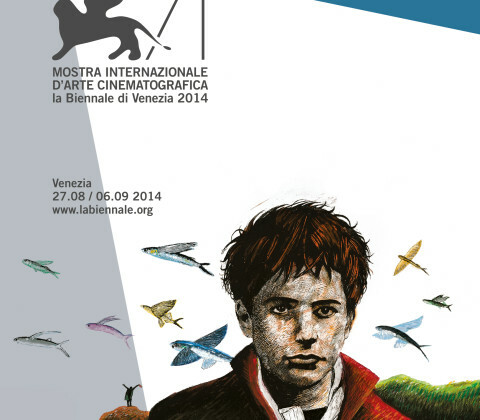 Tomorrow, the 71th film festival will begin, and it will last until next Saturday (the 6th). By the way, do you know what other unmissable event will take place on the 7th? The “Regata Storica“… but we’ll talk about that later on. It’s been weeks since preparations began and locals start to get excited very early, trying to get a grasp on the “vip passes” to access the most exclusive parties (and yes there are a lot of the most amazing parties that only vips can enter, but don’t worry sometimes the parties for normal people like us are just as much fun). 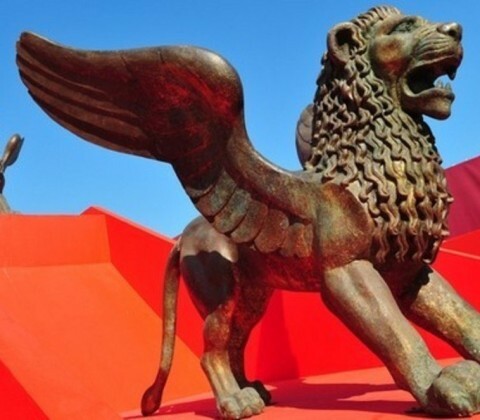 You must understand that after Redentore, the film festival is probably the 2nd most loved event by Venetians (and tourists as well), so it will be quite crazy. There are several kind of locals that rotate around this week: people who work at the festival, journalists, movie lovers, posers, and the classical italian guy who’ll hit on any foreign girl. So, be prepared to wait a lot in queue while getting the tickets or entering to the movies. The good news is that this week the weather will be nice, and not too hot, so at least you have one less problem. There are tons of important things to say about the film festival so let’s cut to the chase. 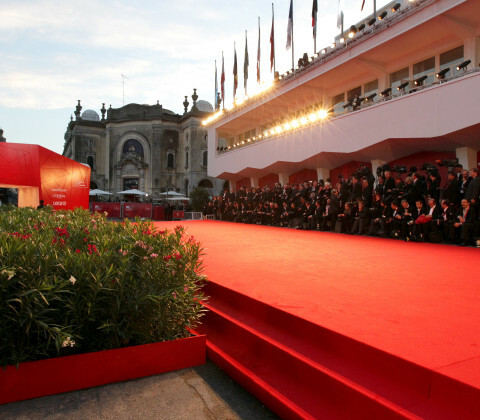 The Venice film festival takes place at Lido, an island near Venice. You can get a Vaporetto in Piazzale Roma or at the train station and get there directly (assuming you’re not already staying at Lido of course). See here (pdf) the lines that will take you to Lido. Once at Lido, there are special buses for the area of the festival, or you can also rent scooters and bikes. Among these three options bikes are the most recommended, because they’re cheap and give you freedom to come and go whenever you want, avoiding overcrowded buses. You can get them both online on the official website or buy them on place. The tip when getting tickets is to go early in the morning (if you have the chance) , when the queues are much smaller (and the weather is cooler). Of course if you’re staying in Venice, this may be too complicated so you’ll just have to be patient. There are also ticket options (accreditations) for you movie lovers who don’t want to miss a single one (if you’re under 26 or over 60 there’s a special offer). There are also several hours at which movies take place, and of course prices change. There’s an official schedule here. 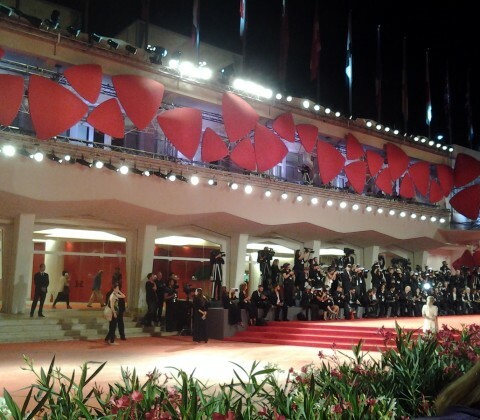 Of course the film festival is not only about movies so there are a lot of other events you can attend to: the arrival of actors at the Darsena, the pictures on the red carpet, happy hours and apertifis, and of course lots of parties in the evening. Be sure to get informed on the party that interests you before going. Is it open or invitation only? What’s the dress code? You don’t want to move around Venice and being denied the entrance. Hotel Bauer is one of the James Bond’s favorite hotels. With it’s B Bar Lounge it’s one of the classiest place you could enter. Drink a Vodka Martini for us, if you do! 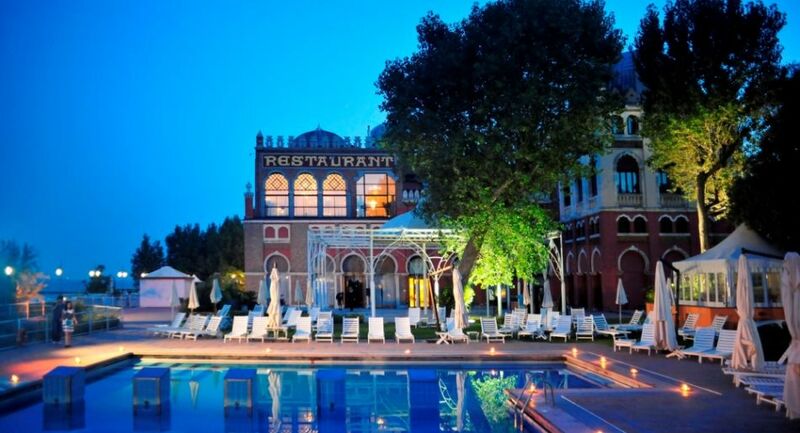 Hotel Westin Europa e Regina has the best and most chic cicchetteria in Venice. You know those lovely bacari where all the locals eat (venetian tapas, fish and excellent wines)? Well this is it, but at the “Holliwood movie star” range. If instead you’re poor like us, and want to enjoy a party without spending too much (or you forgot to bring your shirt and black tie), there are tons of more affordable events that you can join. Just walk around Lido, there will be plenty of people trying to lure you in parties, bars and much more. It’s up to you where you’ll decide to spend your evenings, but this is certainly one of the busiest times for the nightlife in Venice! That’s it guys. There would be plenty more stuff to say, I didn’t say anything about the movies, but I figure you can choose the ones that interests you on your own. Hope to see you at the parties! I say DIBS on Jennifer Aniston.